Ben Affleck will direct a standalone “Batman” movie, says Warner Bros. chairman and CEO Kevin Tsujihara. 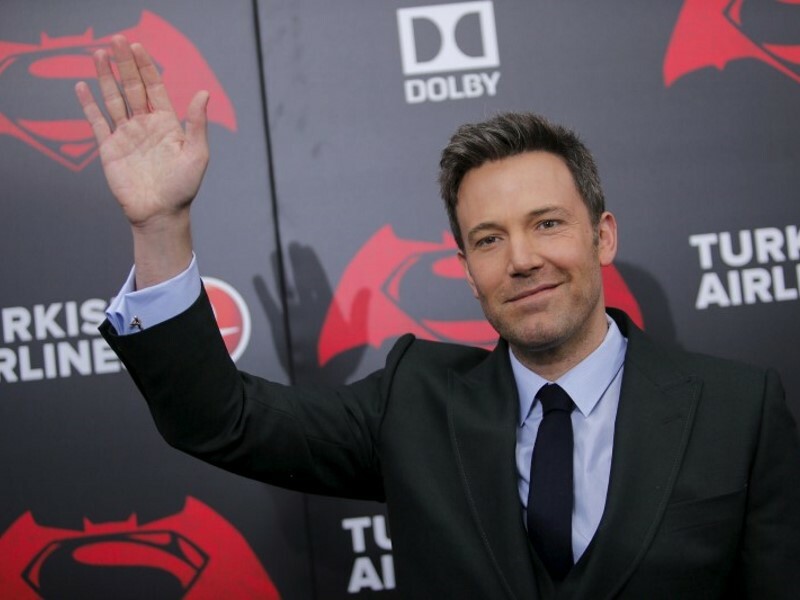 Affleck portrayed the caped crusader in this year’s “Batman v Superman: Dawn of Justice” and had been rumored to be the studio’s top choice to helm the film. Tsujihara confirmed they were moving forward with him in the director’s seat Tuesday at CinemaCon, an annual gathering of theater owners in Las Vegas. The standalone Batman feature is part of Warner Bros. plans for an expanded DC Comics cinematic universe, similar to that of the Disney and Marvel collaboration. Warner Bros. has at least 10 features in the works, including “Suicide Squad,” ”Wonder Woman” and “Justice League.” Unsurprisingly, those films comprised a major portion of Warner Bros.’ presentation, signaling that the studio is moving forward energetically with its original plans despite reports that perhaps “Batman v Superman” is not performing as well at the box office as the studio would have liked. Affleck, who is also directing “Live By Night” for the studio, made an appearance with Amy Adams, who plays Lois Lane. He confirmed that both would be joining Zack Snyder’s “Justice League,” which is currently in production in London. “Suicide Squad” director David Ayer and stars Will Smith and Margot Robbie were on hand as well to hype the supervillains gone straight pic, which launches on August 5 with intense footage focusing heavily on Robbie’s Harley Quinn. But beyond the individual films, a big focus was the studio’s ongoing commitment to its filmmakers and the specialness of theatrical presentation. The threat of The Screening Room, a proposed at-home viewing experience of first-run movies, has loomed large over the annual conference where theater owners come not just to check out the new studio slates and mingle with stars, but to see the latest technologies that promise to enhance the theatrical experience for audiences. Major filmmakers like Steven Spielberg and Peter Jackson have come out in support of the service, but the industry on the whole remains divided. Not every studio has taken a hard stand. On Monday, “Star Wars: The Force Awakens” director J.J. Abrams – a Screening Room backer – urged the conference to be open-minded about innovations.